Automotive window tinting enhances the look and feel of your vehicle while protecting your skin and your car’s interior from harmful UVA and UVB rays known to cause cancer, melanoma, cataracts and eye degenerative diseases. With the selection and installation of the perfect automotive window tinting solution you can ride in style while protecting your investment. Sun Stoppers of Concord utilizes technologically advanced automotive window tinting films. Professionally installed window tint blocks infrared rays (IR rays) that are known to create heat. Window tint reduces heat in your vehicle while protecting your skin from harmful UVA and UVB rays known to cause cancer, melanoma, cataracts and eye degenerative diseases. Investing in automotive window tinting improves comfort, privacy and the look and feel of your ride. Professionally installed window tint protects the interior fabrics, leathers and dashboards. Sun Stoppers of Concord is dedicated to making our customers happy, our expert tint specialists ensure customers always leave our tint shop pleased with the work completed. Please feel free to contact Sun Stoppers of Concord if you’re interested in automotive, residential or commercial window tinting solutions. Contact Sun Stoppers of Concord! Use our simple online form to get a free, no hassle quote! XPEL guarantees their automotive window tinting and paint protection products protect your vehicle and provide the finishing touch to your investment. XPEL promises the automotive window tinting and paint protection products you purchase are only installed by top of the line and experienced window tinting specialists. Sun Stoppers of Concord has extensive experience professionally installing window tint and paint protection solutions. Automotive window tinting provides an upscale look and feel to your vehicle while creating addition privacy. Window tint also protects the interior of your vehicle including the dashboard, leather, fabrics and plastics that deteriorate when left unprotected from the harsh sun. Automotive window tinting aids in preventing the damage caused by UVA and UVB rays that can be blocked by professionally installed window tint. The films utilized at Sun Stoppers of Concord will not prevent the use of electronics, cell phones, radio signals or GPS systems in your vehicle. Automotive window tinting specialist are in charge of installation. All professional window tinters are highly qualified and experienced in providing a clean and impeccable application of film every time. Receive all the benefits of automotive window tinting while upgrading the overall look and style of your ride. 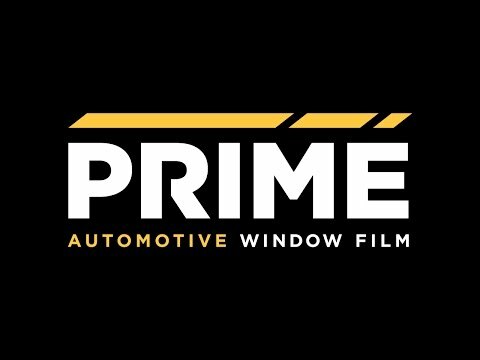 Choose from any of our high quality window tint films PRIME XR, PRIME CS, PRIME HP and PRIME-XR-PLUS. Click to get a free Automotive Window Tinting Quote! XPEL’s PRIME XR window tint offers a nano-ceramic particle formula that has the ability to block 99% of harmful UVA and UVB rays. It’s a non-metallic film that reduces heat, promotes comfort and allows you to ride in style. XPEL PRIME XR automotive window tinting film is developed with ceramic particles that filter out infrared radiation that enter your vehicle. Advanced technology blocks an immense amount of heat in your vehicle. Reducing the amount of heat that enters your vehicle creates a cooler interior and is energy efficient. XPEL PRIME XR creates a safe interior within your vehicle. Blocking over 99% of harmful UVA and UVB rays is the only way to prevent skin cancer, premature aging and skin cell damage caused from over exposure to the sun. XPEL PRIME XR provides SPF 1,000 protection. Advanced technology known as ceramic technology was developed and include in the make up of XPEL PRIME XR film. Reduce the glare and increase visibility with XPEL PRIME XR. XPEL PRIME XR is a nonmetallic film created with highly developed and advanced nano-ceramic particle technology. Electronics, radios, cellular devices, Bluetooth signals or GPS systems will never be interfered with. XPEL™ PRIME CS automotive window tint will never fade, crack, peel or turn purple. It blocks 99% of harmful UVA and UVB rays known to damage to the interior of your vehicle as well as be dangerous to your skin. XPEL™ PRIME CS has a classic charcoal tone that blocks glare and is assured to never loose color or performance. Glare while driving can be dangerous, XPEL™ PRIME CS decreases glare and increases visibility, enhancing your driving experience. XPEL™ PRIME CS automotive window tint is designed to reduce the amount of heat in your vehicle which creates a cooler interior climate and improves fuel efficiency. XPEL™ PRIME CS blocks over 99% of UVA and UVB rays. These harmful rays cause skin cancer, premature aging and skin cell damage. XPEL™ PRIME CS provides SPF 1,000 protection. XPEL™ PRIME CS was created with nano-ceramic particle technology. Electronics, radios, cellular devices, Bluetooth signals or GPS systems will not be interfered with. Have the experienced window tinting installers at Sun Stoppers of Concord install a window tint solution that matches your personality. XPEL™ PRIME XP reduces heat significantly within your vehicle with it’s advanced hybrid technology. XPEL™ PRIME XP protects the interior of your vehicle as well as the skin of the passengers riding with you. XPEL™ PRIME HP was designed to provide a higher heat rejection. This film is offered in a reflective finish. XPEL™ PRIME HP provides customers with SPF 1,000 protection while blocking 99% of UVA and UVB rays that are known to cause skin cancer, premature aging and skin cell damage. XPEL™ PRIME XR is a nonmetallic automotive window tinting film. It’s developed with nano-ceramic particle technology. Electronics, radios, cellular devices, Bluetooth signals or GPS systems will always work in your vehicle after window tint is installed. Automotive window tinting provides a personalized and customized look and feel to your vehicle while adding the privacy you need while driving. XPEL™ PRIME-XR-PLUS is the optimal choice for automotive window tinting film. It blocks more heat and harmful UVA and UVB rays than any other film on the market. XPEL™ PRIME-XR-PLUS has vast protective features and creates the look and feel you want for your vehicle. 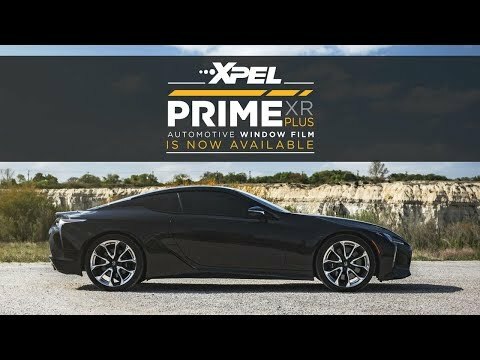 XPEL™ PRIME-XR-PLUS automotive window tint was designed with ceramic particles which filter infrared radiation that is trapped within your vehicle. XPEL™ PRIME-XR-PLUS blocks an immense amount of heat caught in your vehicle. Keep your car comfortable and cool while improving fuel efficiency. XPEL™ PRIME-XR-PLUS window tint aids in preventing skin cancer, premature aging and skin cell damage by blocking 99% of harmful UVA and UVB rays. XPEL™ PRIME-XR-PLUS provides SPF 1,000 protection. The remarkably formulated ceramic technology found in XPEL™ PRIME-XR-PLUS creates a clarity of vision and ensures there will never be color distortion of film. XPEL™ PRIME-XR-PLUS is developed with nano-ceramic particle technology, meaning it’s a nonmetallic film which will never interfere with electronics, radios, cellular devices, Bluetooth signals or GPS systems in your vehicle. © 2019 Sun Stoppers of Concord | All Rights Reserved.